WordUp Pompey! - 6 years old today - WordUp Pompey! WordUp Pompey!’s first meeting was held 6 years ago today in Old Portsmouth. The WordPress meetups themselves lasted just under a year, but the website has remained. I’d like to restart a WordPress meetup for Portsmouth, South Hampshire, West Sussex or wherever. But I don’t really want to do it on my own. Is there anyone out there who is willing to help, or even take the lead? And are there people who are interested anyway? Here’s a summary of the meetings we had in 2011/2012. Some of the slideshows and sample websites should still be available. Lean coffee and lightning talk proposals Summary of Lean Coffee discussion topics and Lightning Talks proposed in December 2018 for addressing in 2019. Practical Security Workshop slides Slides from the WordPress Portsmouth Meetup's "Practical Security Workshop"; getting around to it! WordPress Portsmouth Meetup agenda slides April to September 2018 Please find below the introductory / agenda slides to the WordPress Portsmouth Meetups from April to September 2018. Here's a sanitised list of some of the topics that were raised. Do we have to read all 50 pages every time there's some GDPR news? Is it true that related posts ignores the post's category? What's the difference between a widget in a side bar and a widget in content? What's the best way of saying "We're on holiday"? I'd love to hear from everyone whether or not they found solutions to their problems. Report from WordUp Pompey! 22nd Feb 2018 Here's a brief report following the Portsmouth WordPress Meetup on 22nd February 2018. Report from WordUp Pompey! 18th Jan 2018 Here's a brief report following our reboot meetup on the 18th January. WordUp Pompey! August 2012 - a brief summary After a 2 month break ( June and July ) WordUp Pompey! reconvened at the end of August for a look at the Top-10-Wordpress-plugins. It was a fairly interactive session, led by Herb Miller of Bobbing Wide and oik-plugins. How Google works" - Ever wondered what goes on once your website has been visited by Google? Report from WordUp Pompey - Feb 2012 - Part 2 Herb Miller gave a brief presentation on his experiments with creating a responsive web design based upon an Artisteer generated theme. WordUp Pompey! Dec 2011 - slideshows on slideshare WordUp Pompey! slideshows, 21st December 2011, not including Roger Marsh's slideshow on browsers, HTML and CSS, which was a lead in to an interactive demonstration of "hacking the BBC website using Firebug"
January 2012 WordUp Pompey cancelled! Due to unforseen circumstances, the WordUp Pompey! meeting that I was planning for 26th January 2012 (Australia Day) has had to be cancelled. 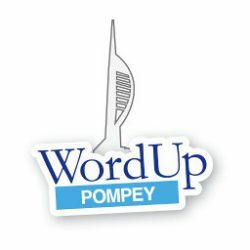 So kick off for WordUp Pompey will now be in late February. belated report on WordUp Pompey 20th October 2011 Well, we had our first meeting = nearly two weeks ago. Been a bit busy so only just getting around to writing about it.